Are Laptop-Tablet Hybrids Taking Over? If you have even stepped outside once in the past few years, you may have started noticing a trend occurring. There has been a shift in the technology that we use today. Apple has taken over just about everything in the consumer technology department. Samsung is still doing its best to compete with Apple. Microsoft is still struggling to get back into the game and convince people that regular PCs and Windows are cool. There are a lot of tablets now as well. Just recently, however, and by recently I mean within the past few years, there has been another change in the technology, mainly in the tablet and laptop department. Some people thoroughly enjoy using their tablets for everything. Others only use it for surfing the web and games because they can’t stand not having a keyboard. Thus, the change occurred. The tablet-laptop hybrid was made. Does that mean that it’s taking over now though? Microsoft has been looking like a dying breed for a while now. They’re far from out of the game, but they aren’t at the level that they used to be either. They, just like Samsung, have to compete with Apple and their iPad. Microsoft does have something that Apple doesn’t have. Apple has the MacBook. Apple also has the iPad. Microsoft’s answer to this? The Surface Pro 3. The latest rendition of the Surface Pro was hyped up so much by Microsoft that the ad even claimed that it was the “tablet that could replace your laptop”. In reality, it easily could. Reason being is that it was able to be a laptop when you needed it (after the purchase of the keyboard attachment of course) and a tablet when you needed it. You didn’t need to buy two separate devices. 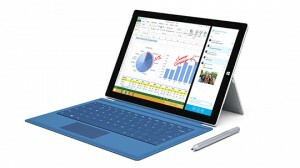 With the Surface Pro 3, you have them both. Here’s a name you might not have thought about in a while. Dell is still in the game, and at this year’s IFA conference in Berlin, they made sure that everyone was aware of that fact. 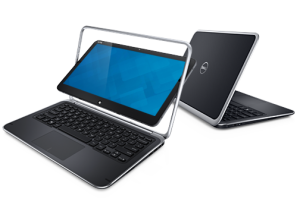 Dell is following suit with the laptop-tablet hybrid game, much like everyone else in the mobile technology industry right now. 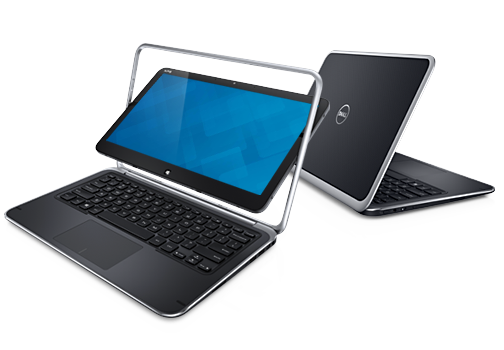 They released their new Latitude 13 7000, which they are claiming to be a “2 in 1” device. Dell hasn’t really been making too much noise, as they’ve been drowned out by the likes of Microsoft, Samsung, and Apple. That being said, this new device aims to jump in the battle with the other hybrids out there. It was announced at the event but won’t be available to the public until October. Just be ready to spend around $1,200 if you want to try out their version. This change in the direction of technology could mean a lot of things. It could mean that this is what we can expect all of the tech giants to do now. It could mean that soon the laptop and hybrid will no longer exist as two separate entities but only as hybrids. Apple is making an announcement on the 9th of this month and for all we know it could be about their own version of a iPad and MacBook hybrid. Although that is highly unlikely, the possibility is still there as the IFA conference showed that this seems to be a big trend among the mobile market now. It could end up saving consumers and developers a lot of money in long run, but we won’t know until something like that actually happens. I for one don’t own a tablet, but I do enjoy using them. I also enjoy just using my laptop. Should this become the new tech trend and take over officially, it might take some getting used to, but I feel that ultimately it wouldn’t be a bad financial call on either end. Look Out Leap Motion, Google’s New Tablet Can Motion Track Too! I’m the type of tech nerd that is all about embracing the future of technology. I look at new ideas with hope and wonderment, wishing that they will do something that has not been done before. Some may call this wishful thinking, and to an extent, I’d have to agree with them. There has to be something really crazy created in order to change the mobile technology game, especially in the tablet market. Every tablet has the “latest processor” or microSD storage on top of their 128GB of storage. There’s not been too much to add… until now. Google has decided to come in and stir things up a bit. So what is it that Google has decided to do to shake up the pot? Four words that have me pretty excited: 3D and motion sensing. Now I know this isn’t the first time we’ve seen this. The Leap Motion Controller is a device that is able to track depth and user hand motion, basically a way to control your computer without the need of a mouse. This is a cool concept if done correctly with adequate responsiveness. Google has decided to add their own version of motion sensing and 3D-sensing technology into a brand new tablet that they have in development. Google has recently come up with a tech project called Project Tango that is slated to bring us new mobile technology with the addition of motion and depth tracking/sensing capabilities. 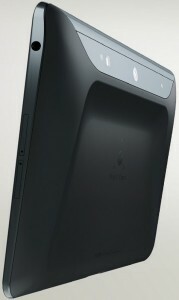 Currently, the new tablet is in the prototype stage, so there isn’t much that can be determined. What can be confirmed is that it will come with 4GB of RAM, 128GB of storage, and a decent number of cameras. The cameras are where this new tablet starts to take flight. If you take a look at the new promotional video for the tablet, you’ll see that there are three cameras and an integrated depth sensor. The two cameras on the back work with the integrated depth sensor to allow for applications that can implement full 3D motion tracking directly on the tablet. In terms of processing power, this new “Project Tango” tablet will have the latest NVIDIA Tegra K1 processor. Since the tablet is still in the prototype phase, it’s being distributed to a select developers with a software development kit just to see what can be created. There will be some 4,000 (rumored) prototypes delivered before the Google I/O conference later this month. Hopefully during that conference, the developers will have come up with something to show us. Needless to say, I’m a bit excited for this. The price tag just for the prototype of this tablet is $1,024, so if developers are interested in working with this new tech and putting the software development kit to good use, then they’d better be ready to spend a pretty penny to make it all work. Even still, it would be a small price to pay if something incredible were to blossom from it. Motion tracking technology is just an all-around cool concept. Who doesn’t want the ability to feel like their device is more an extension of their body rather than just a…. device. We will be able to see what this new tablet could be all about and how the software could work (hopefully) later this month at this year’s Google I/O. As the tablet wars continue to rage on, we, as the consumers, have front row seats to everything. We and our wallets are the main goals for all of the tablet companies out there. Each one of them is trying to make the absolute best tablet they can in order to gain our loyalty. It’s almost sweet if you think about it. It’s not news to anyone, however, where most of the mass market consumer loyalty lies. Apple has the biggest share of that pie without a doubt. While I’m constantly stating that it is due to Apple’s popularity and the fact that they can be viewed as a fashion statement, I also know that their products are actually very good (I have a MacBook Pro and iPhone). Their biggest competitor, Samsung, may have just thrown the biggest blow towards them that any company has ever thrown yet; a tablet that can actually stand up to the iPad Air and iPad Mini With Retina Display. 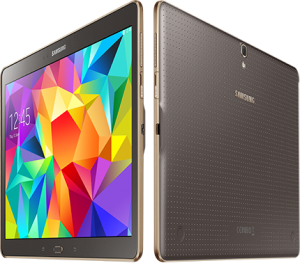 In case you’ve yet to see, Samsung recently stepped up their game with the reveal of their new flagship tablet; The Galaxy Tab S. This new tablet is Samsung’s answer to the iPad Air and iPad Mini. I guess you could say it’s their answer to Apple’s iPad, period. They’ve put just about everything they have into this new tablet. One thing that Samsung had to say about their new product was that they didn’t want to make another tablet that offered things that the iPad didn’t offer. They knew that people were buying the iPad still for a reason. Instead of utilizing ideals that Apple can’t offer, they’ve decided to offer some of the same things that the iPad Air and iPad Mini With Retina offer. To be quite honest with you, some of the specs are actually better than Apple’s. Some of Samsung’s software features even outshine Apple’s. The Tab S is actually thinner than both the iPad Mini With Retina Display and the iPad Air. The Tab S comes in an 8.4 inch version, and a 10.5 inch version. Both of these versions of the Tab S offer the same inner workings and are actually slightly bigger than the iPad Air and iPad Mini. 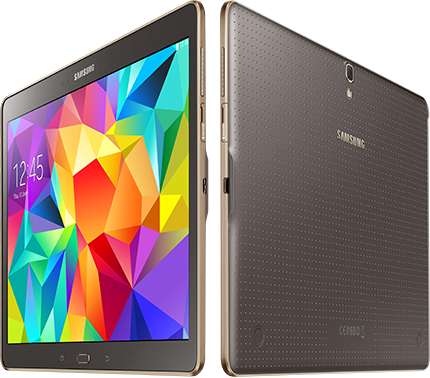 Both the rear-facing and front-facing cameras offer more megapixels on the Tab S than they do with either the iPad Air or iPad Mini as well. While the camera might not be a big deal, consider this; the displays on the Tab S are better the Air and the Mini as well, so you might be able to tell! The Tab S offers a 2,560 x 1,600 pixel display where as the Air and Mini With Retina only offer a 2,048 x 1,536 display. The other one-up that Samsung has over Apple with their new tablet is the fact that they support microSD storage, where as the Mini With Retina and Air don’t. Samsung has made sure to not hold anything back with this new release. This is where the consumer ultimately gains the advantage no matter what. While there may be a few Apple heads out there (present, and accounted for), Samsung is offering a very nice alternative, priced to match Apple. So while these two giants are at war with each other, we still reap the spoils. When do you need a Rugged Tablet Rental?